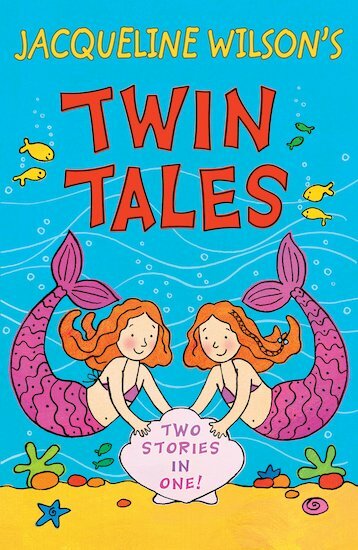 A touching pair of stories starring a girl who is suddenly landed with twin siblings. Connie’s not happy! Her parents are having a baby. Well – not one baby, but two! Why do they need more children? They’ve got her! Soon the house is filled with dirty nappies and screaming babies, and Connie is expected to help. It’s not fair! But when Nurse Meade puts some blue beads in her hair, odd things start to happen – magical things! Soon Connie is fitting into her strange new family, showing the others how things look from her point of view. And, even better, when she visits the pool with twins Charles and Claire, water-hating Connie suddenly finds herself able to swim like a mermaid! great book but would be better if it was a bit longer! This is a very good book for younger readers.